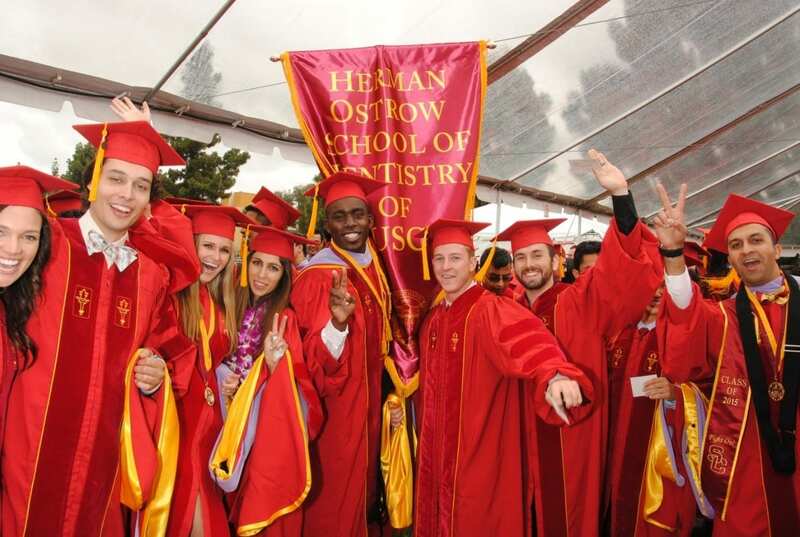 The Herman Ostrow School of Dentistry of USC focuses on training skilled clinicians who are leaders in the dental profession. We leverage the school’s clinical eminence to provide exemplary patient care, mentor students to thrive in a dynamic professional landscape and drive the evolution of dental science and practice. As an institution shaping the future of oral health care, we provide a unique educational experience while caring for those in need in practical ways. Our commitment to leading the way as one of the nation’s top dental schools includes offering our students educational opportunities that are second to none. As the official dental alumni association for all USC dental graduates, the Century Club Alumni Association (CCAA) takes this commitment seriously, and recently announced a goal to raise $100,000 in 2018 to help give all USC dental students access to unique experiences that enhance their education in and outside of the classroom. Support for the CCAA Endowed Student Opportunity Fund will enable current and future students to participate in professional conferences, humanitarian service-learning trips and unique student-led initiatives, allowing all USC dental students access to experiences that fuel their professional growth. USC dental student groups that are actively working to pursue opportunities for leadership and service can request student travel funds from CCAA to support their efforts. Through this partnership—and your valued participation—Ostrow and CCAA are able to provide USC dental students with resources that help them flourish regardless of their financial circumstances. 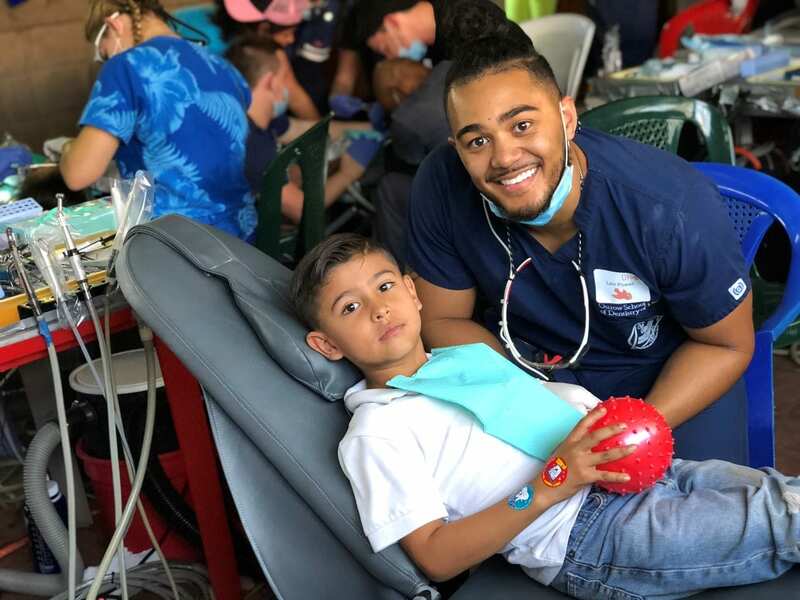 USC Dentistry students traveled to Nicaragua with the Dental Humanitarian Outreach Program last December to provide care for pediatric patients and their family members. 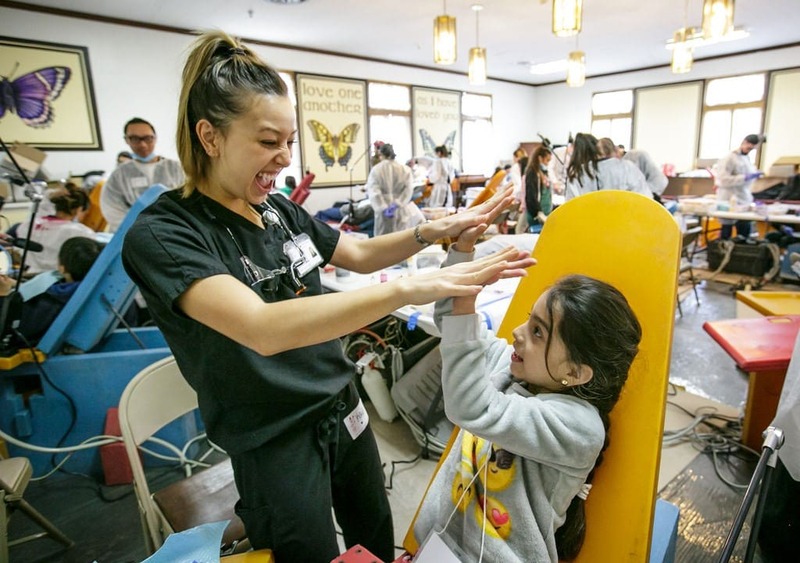 USC dentistry maintains an expansive network of community outreach programs to extend quality oral health care to those who cannot usually afford to visit a dentist’s chair. 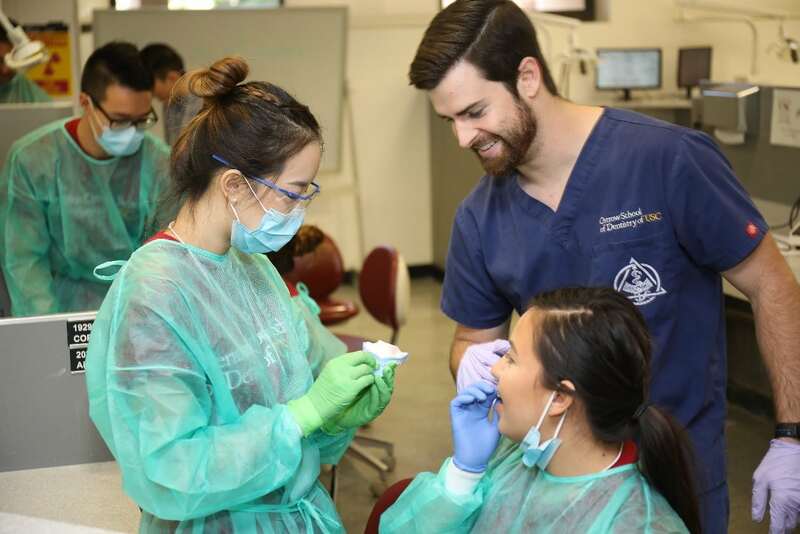 These programs meet a critical need in local and regional communities and expose USC dental students to clinical experiences that shape their ability to think critically and provide exemplary care. 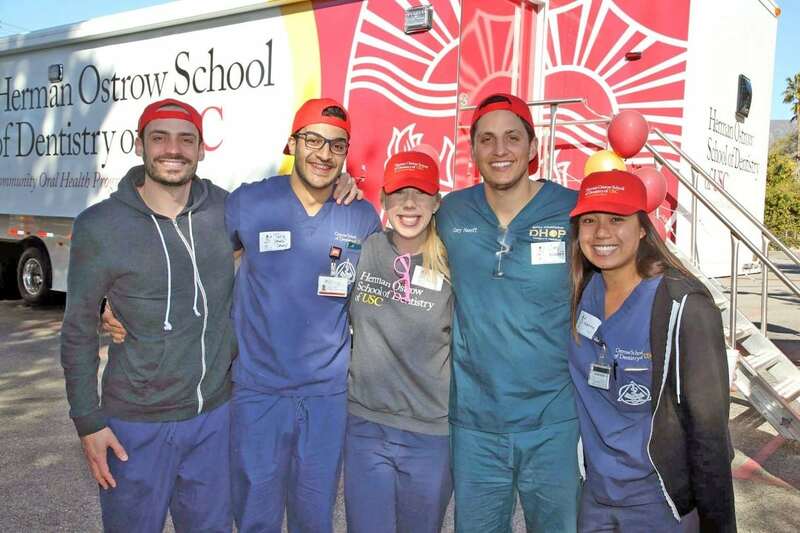 The USC Community Oral Health Programs provide a platform for USC dentistry students to lend a helping hand across central and southern California with a mobile fleet and an array of community partnerships. The USC Mobile Dental Clinic program includes four mobile trailers equipped with a total of 15 dental operatories. During week-long mobile clinic visits, students and staff provide comprehensive preventive care and restorative services to improve oral health and preserve smiles. Nearly 90 percent of children who participate in a mobile dental clinic are visiting a dentist for the first time, and many children can leave the clinic disease-free with treatment that costs as little as $600. The USC Community Oral Health Programs collectively provide more than $7 million worth of free dental care and education to vulnerable populations each year and offer rich opportunities for USC dental students to treat diverse patient populations. More than 80 percent of recent Herman Ostrow graduates describe their community outreach experiences as one of the greatest assets in preparing them to practice dentistry after graduation. Ostrow students have the opportunity to continue expanding the breadth of their clinical experiences as supporters provide new resources for outreach. USC dentistry will play an important role in providing dental screening and education through the Local Dental Pilot Project, a grant awarded as part of a statewide effort to improve the dental health of more than 5 million children enrolled in the Denti-Cal program. Students and faculty expect to work with more than 30,000 youth in the San Gabriel Valley and the areas surrounding USC and Cal State Los Angeles through this initiative over the next four years. Our diverse research activities present students with opportunities to maximize the depth and breadth of their educational experiences alongside renowned Ostrow faculty members like Dr. Yang Chai, whose team is close to identifying a crucial gene for human cleft lip and palate. This new understanding may lead to interventions that can reduce the severity of the birth defect, which impacts survival, feeding and speech. USC surgeons are helping advance treatment for these conditions through a unique collaboration of disciplines in the USC Division of Oral and Maxillofacial Surgery and USC Division of Plastic and Maxillofacial Surgery. Learn more about how Ostrow faculty are improving the quality of life and outcomes for affected patients with cleft lip and cleft palate in our Spring 2017 TroDent magazine feature. The Herman Ostrow School is bringing the latest enhancements in clinical practice to our teaching labs and patient care. 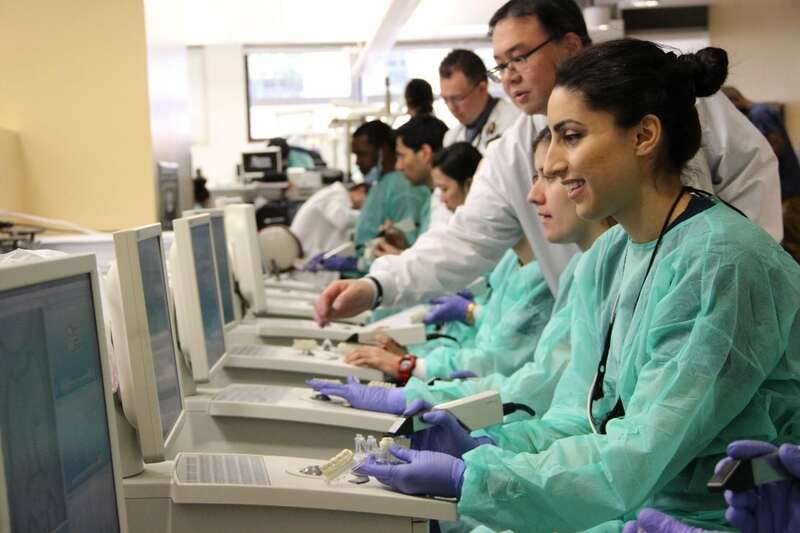 USC dental students receive training in using Computer-Aided Design/Computer-Aided Manufacturing (CAD/CAM) technology throughout the majority of their time at the Herman Ostrow School. Doctor of Dental Surgery students are also afforded opportunities to learn to place dental implants as part of routine patient care at USC, allowing students a professional advantage over peers at other dental schools. With the latest technology and hands-on practice, Ostrow students have the opportunity to advance superior skills in digital dentistry that will prepare them to deliver the highest quality patient care in their professional careers. Support from USC dentistry alumni, faculty and the community has a significant impact on student attainment, providing resources to enhance the student experience and prepare our graduates for successful careers as exemplary practitioners. We invite you to partner with the Herman Ostrow School of Dentistry today as we care for underserved communities and develop the next generation of dental professionals. Every gift makes a difference and one hundred percent of your gift supports the Herman Ostrow School of Dentistry. Your contributions help us provide outstanding educational experiences, recruit and retain top experts in the dental field and improve the health of children and families in our communities. Thank you for your support. Fight On!